Chinese gaming company Hoolai Games is hoping to become a breakout developer in 2014, as it continues to experience large growth in revenue in its games on iOS, Android, Tencent and other platforms. For Q1 2014, Hoolai tripled its revenue quarter-over-quarter, with the Chinese version of its Wartune strategy RPG accounting for more than 40 percent of the company’s mobile revenue to start 2014. Hoolai’s mobile revenues have steadily grown over the last three months. Revenues from December 2013 to January 2014 were up 167 percent, while January to February 2014 saw growth of 130 percent. Finally, revenues from February to March 2014 saw growth of 133 percent. 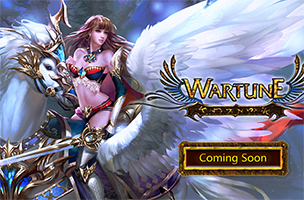 The original mobile version of Wartune was developed jointly by 7th Road and Hoolai Games, but Hoolai has licensed the game to Kabam for release on iOS and Android in the US and major European markets. Kabam’s version of the game is currently in beta and will be released soon. “In the past several months, we have seen strong indicators that represent the growth and market opportunity for free-to-play multiplayer MMO games on mobile– especially outside of China,” said Xiang Lin, VP of International Business Development for Hoolai Games. Total game time in Hoolai’s titles increased 288 percent from Q4 2013 to Q1 2014. Hoolai has expanded to over 600 employees in the last three years, with offices in over seven major cities in Asia, as well as in Silicon Valley, CA.